The CHI Play 2017 organizers are proud to announce prof. Ian Bogost as a keynote speaker. 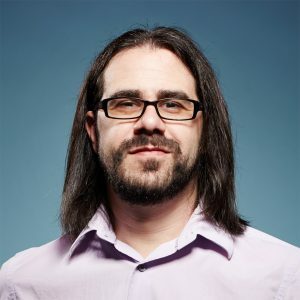 Based at the renowned Georgia Institute of Technology, Atlanta, USA, Ian Bogost is a multidisciplinary scholar whose interests span from Procedural Criticism, to Critical Game Design, to Persuasive Technologies. Among the first wave of game scholars, his approach to videogame criticism equally draws from complexity theories, interaction design and computational creativity, as well as from the humanities. His latest work, Play Anything, addresses playful experiences through a variety of lenses, from poetics, to philosophy, to persuasion. Ian Bogost is Ivan Allen College Distinguished Chair in Media Studies and Professor of Interactive Computing at the Georgia Institute of Technology, where he also holds an appointment in the Scheller College of Business. Bogost is also Founding Partner at Persuasive Games LLC, an independent game studio, and a Contributing Editor at The Atlantic. Ian Bogost has authored several books on the cultural impact of games and game design, among which Unit Operations: An Approach to Videogame Criticism, Racing the Beam: The Atari Video Computer System, and Play Anything may be particularly interesting for the CHI Play community. Bogost is also the co-editor of the Platform Studies book series at MIT Press, and the Object Lessons book and essay series, published by The Atlantic and Bloomsbury.